Beowulf, a hero of the Geats in Scandinavia, comes to the help of Hrothgar, the king of the Danes, whose mead hall (Heorot) has been under attack by a being known as Grendel. After Beowulf slays him, Grendel's mother attacks the hall and is then also defeated. 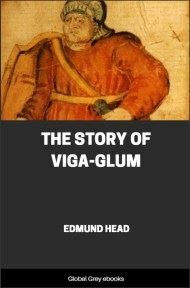 Victorious, Beowulf goes home to Geatland in Sweden and later becomes king of the Geats. 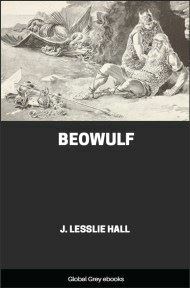 After a period of fifty years has passed, Beowulf defeats a dragon, but is fatally wounded in the battle. After his death, his attendants bury him in a tumulus in Geatland. How princes displayed then their prowess-in-battle. From many a people their mead-benches tore. Whom God-Father sent to solace the people. Wielder of Glory, with world-honor blessed him. Of Scyld’s great son in the lands of the Danemen. On the flush of the flood afar on the current. Heroes under heaven, to what haven he hied.